Valentine's Day -- a much loved and much hated holiday! I always find the different reactions interesting. I have always loved Valentine's Day. I know there were times I didn't have a boyfriend or anyone special to send me flowers or a card, but there is just something about that day that I have always loved. 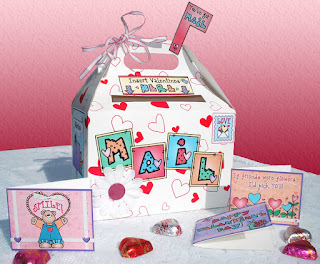 Remember those boxes we made in elementary school so that each of our classmates could put a valentine inside of it? There were heart shaped cookies and pink cupcakes . . . and chocolate, of course. Over the years, Valentine's Day really became more of a celebration of friendship that just a romantic holiday. I have given many Valentine Brunches over the years and have taken that opportunity to let other women know that they are loved and cared for -- that they matter a lot. This year, at the brunch, we made Valentines for an assisted living facility and the children's hospital here in Chicago. It took that love we have for one another and moved it outside of our world into the world of those that could use some Valentine love. It was a great experience. Of course, there was food! There was laughter, fun and new friendships. Everyone was able to get their Valentine crafting on. We ended up with so many Valentines that we were able to send them to two places. Love can be expressed in so many different ways. Valentine's Day just gives us one more way to do that. So, today, I am thankful for LOVE. I am thankful for the love of family, the love of friends and the love that we are able to express to others. I am most thankful for the love of God, expressed in Jesus. Without that love, all other love would not exist. It is in Jesus that we are loved fully -- accepted just the way we are -- cherished beyond our wildest dreams and given life. Happy Valentine's Day! You are loved. Thankful Thursday ~ Guess who?